I'm not sure how long it has been available for, but Pioneer Electronics' "Discover AppRadio" app is available as a free download from the App Store. The app is a resource for getting to know your AppRadio or AppRadio 2 better. Here is a rundown of what the app provides. 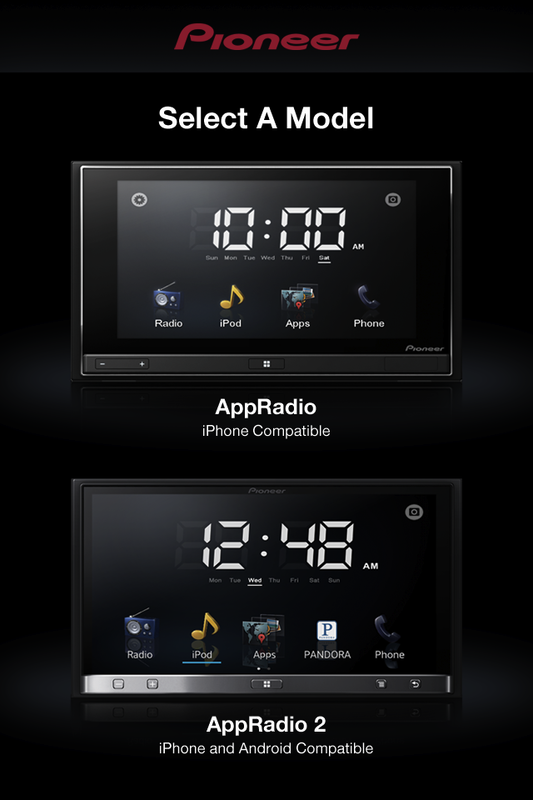 The app displays the signature AppRadio welcome animation when launched. You can then select your device (AppRadio or AppRadio 2) from a list to get more information. 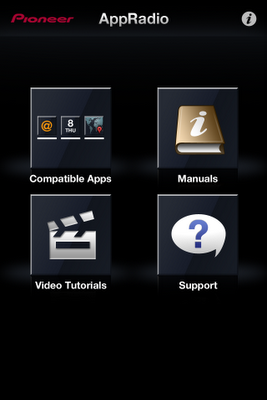 The various product manuals are available for viewing along with a list of compatible apps with descriptions for each. There are also various Video Tutorials available (the same ones that are on Pioneer's YouTube channel) for both devices. And finally, you can contact Pioneer support right from the app itself (either call or email). 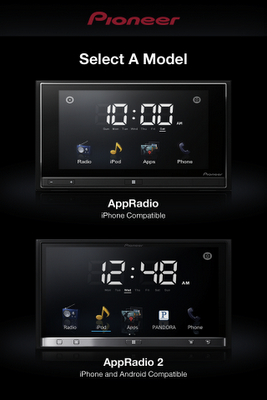 Almost all of the above information can be obtained from Pioneer's AppRadio webpage. The app, however, puts all the information in one interactive place. The 'Support' feature is probably the most useful which will save you the trouble of having to dig for the contact information on Pioneer's website. You can download the Discover AppRadio app from the App Store today. I have a Pioneer AppRadio 2 and it never displays the AppRadio welcome animation. Is there a way to turn this on and off? How do I get it to display? I wish there was something like this for the avh-p8400bh.